Competition is growing for emoji-based apps -- the latest addition is Emojicate, another social app for communicating using only image-based characters. Competition is growing for emoji-based apps — the latest addition is Emojicate, another social app for communicating using only image-based characters. It’s similar in concept to Emoji.li, a social network that goes as far as requiring usernames composed of only emoji characters. Unlike Emoji.li, which has yet to be launched, Emojicate has its own set of in-app emojis based on the traditional set. For example, the clock emoji can be edited to show a specific time. If that’s not enough customization, Emojicate’s custom set of emoji will be growing with use and demand. 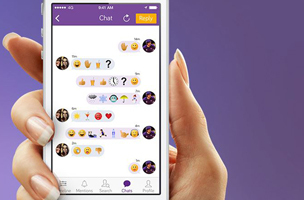 Essentially, Emojicate operates using stickers — or stock images. That’s challenging, since the app also limits your messages to eight characters and no words. It’s definitely not effective communication. Maybe that’s the point? 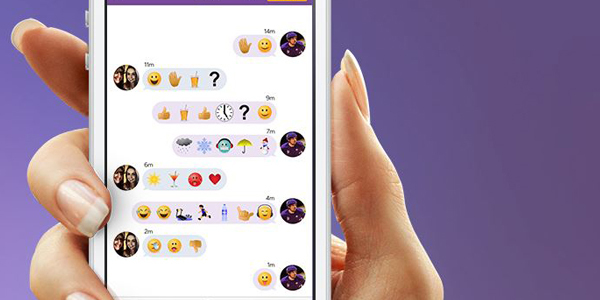 With apps like Yo, which only sends “yo” to recipients, Emojicate doesn’t seem too bad – but there’s clearly no incentive to use Emojicate when you can send emojis using traditional chat apps without having to create another social account. There are certainly financial incentives for stickers on social messaging apps. Japanese app LINE has turned the sticker-selling business into a lucrative $10 million per month enterprise. LINE has also invited users to create their own stickers and sell it to each other for a portion of the profits.